Lester William Senior was born and raised in Antwerp, Belgium. Music was always around at home because Lester’s father, Dave, is a dedicated jazz musician. In 2004 Lester followed the family musical tradition in his own way. “I want to be a DJ/entertainer”, he decided. While still at school he invested in his first DJ gear with money earned from a vacation job. By 2012 Lester had built up valuable experience with DJ-duo MOONFLOWER and the singing project “Lester en Abdou”. With these he appeared on Tomorrowland for three successive years, played a sold out Sportpaleis opening for Beyoncé as well as continuing successful residencies at Noxx (with Moonflower), La Casa and Carré. Carré has now become the home base for LESTER WILLIAMS where he performs every Saturday as well as the ‘PPP’ evening every first Thursday of the month. Lester also does a weekly show on Topradio where he uses his DJ skills to great advantage for all to hear. With the slogan “NO RULES”, Lester wants his audience to know that there are no limits. 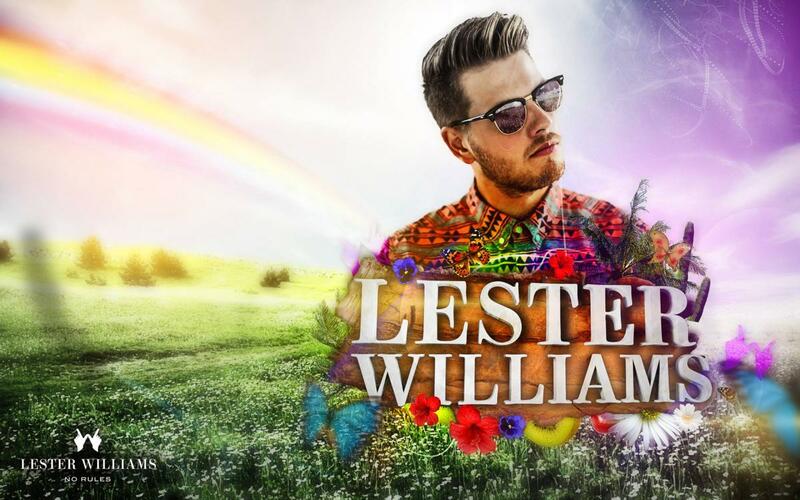 The message is very clear… ‘Hold onto your seats’ if you find yourself at any event where Lester Williams is performing!